I am so excited to write about the very first Mix&Bloom event at 9th&Bloom! 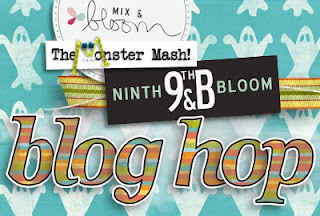 As of today(Friday Oct. 7), 9th&Bloom will release Mix&Bloom a few times a year. Starting now with the Monster Mash! creatures! 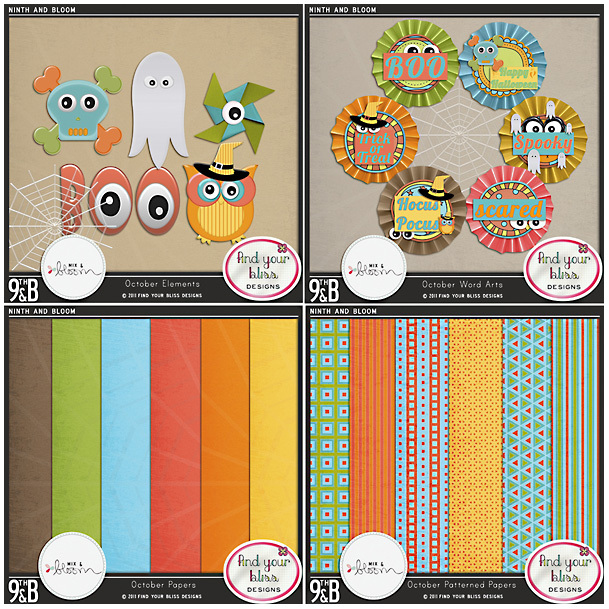 And the Designers of 9th &Bloom all made very affordable small packs of yummie scrapstuff , you can mix and match yourselfs! 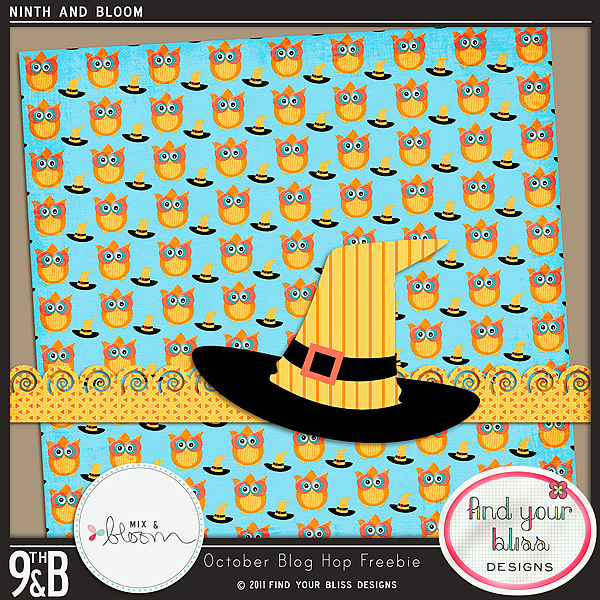 And now it is time for the Blog Hop! If you are already following the hop, you should have arrived from Clever Monkey Graphics(Tracey Monette) and already grabbed up her stunning gift. I have a little something for you too! There’s a direct download once you click through that link to the product. The next stop on the hop is Agnesingap Designs . I’m a little early, but all the posts should be up by 10 PM CST on Thursday, October 6. If you get lost anywhere along the way , you can find the whole list with links to the designers’ blogs in THIS POST in the forum at 9th&Bloom. 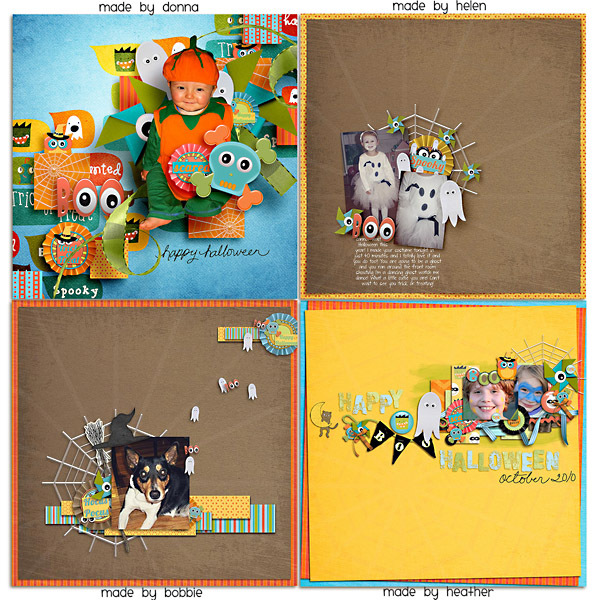 This was such a great blog hop and monster mash event. Thank you for the wonderful freebie! Have a great week. I love that hat!! 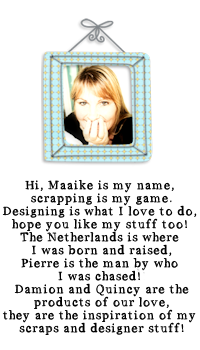 Thanks Maaike!! Awesome freebie!! And I love your Mix and Bloom Stuff so I think people should go and buy it all !!! 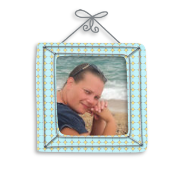 Maaike - your mix and bloom pieces are fabulous@ Thanks for the giftie.